A Homeowners Insurance policy is a contract. A homeowners insurance policy is a contract between the owner of the home and the insurance company. Your paid premium transfers the financial risk in owning or leasing your property to the insurance company. The insurer assumes the risk through the policy’s suite of coverage. The policy’s suite of coverage is underwritten by the homeowners insurance company based on the representations made on the application. The premium that is paid may vary dramatically because of the construction, age, distance to coastal water, and hurricane exposure of the property. A great insurance agent navigates the available lines of insurance applicable. Your Rolfs Insurance Services agent uncovers the available premium credits that apply to your dwelling and clearly reviews your possible out of pocket cost risk in the event of a claim. Did you know there is no law that says a homeowner must buy insurance? The need for insurance coverage is almost always a contractual obligation with mortgages, lines of credit and any other transaction where property is used as a form of collateral or security. That said, it’s still a wise idea to maintain homeowners insurance where there is a large potential for financial loss, thereby transferring the risk to an insurance company. The first section deals with the physical property. The property coverage is broken down in terms of the dwelling and other structures on the insured location, along with the personal property inside and maintained on the residence premises and the potential for financial loss in the event that the home is rendered uninhabitable. The second section has to do with liability. This provides for insurance coverage in the event that someone gets injured upon the property for which medical bills and other potential financial loss may occur to another person who is not the named insured or any resident relative residing in the household. A homeowners insurance policy includes terms, conditions and limitations with respect to coverage and the property section is subject to a deductible. The deductibles are expressed as all other perils and windstorm. All other perils relates to any covered loss that is not wind and is usually lower than the windstorm deductible which can be significantly higher. The liability section is quite broad. It is referred to as comprehensive liability and may extend coverage to a number of different circumstances. Discounts and credits: The amount of money paid to an insurer for the issuance of a homeowners insurance policy is called a premium. Premium credits may be allowed for things such as new homes, burglar and fire alarms, and impact windows and doors. These are often noted as mitigation credits. Documentation of these improvements is always required to get these premium credits. The new home credit is documented though the property appraiser’s office. It shows the year the property was built. Other certificates, such as for central station alarm monitoring or hurricane impact shutters, need to be issued by the central station monitoring company or a licensed building inspector. The wind mitigation credits are obtained by an inspection which is performed by a licensed property inspector. They document in writing and take photographs of the construction features of the property to evidence how the building will withstand a windstorm. In the case of older homes, a 4-point inspection is generally required to evidence that the dwelling has been updated to prevent loss potential. The 4-point inspection is also done by a licensed property inspector. They document the age and expected usable life of the roof, electrical, plumbing and air conditioning systems. All of this documentation is attached to and made a part of the submission to an insurer for the issuance of a homeowners insurance policy. A homeowners insurance policy is issued based on the representations made on a homeowners insurance application. The year the dwelling was built. The age and condition of the roof as well as the materials of which the roof is constructed. The age of the various mechanical systems of the house such as the electrical, plumbing and air conditioning systems. The claims history and financial background of the applicant. 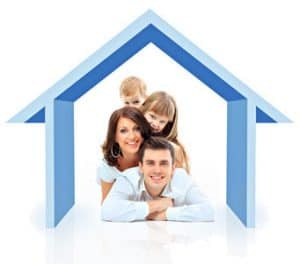 The use of the house is considered in terms of primary, secondary, seasonal or tenant occupied circumstances and other issues such as pets and/or livestock are taken into account with respect to the issuance of a policy and specific limitations of coverage for premium paid. Your skilled Rolfs Insurance Services agent helps you complete the homeowners insurance application with guidance and advice relating to the various coverage. We will make recommendations as to which safety features may be added to your home to reduce your premium.